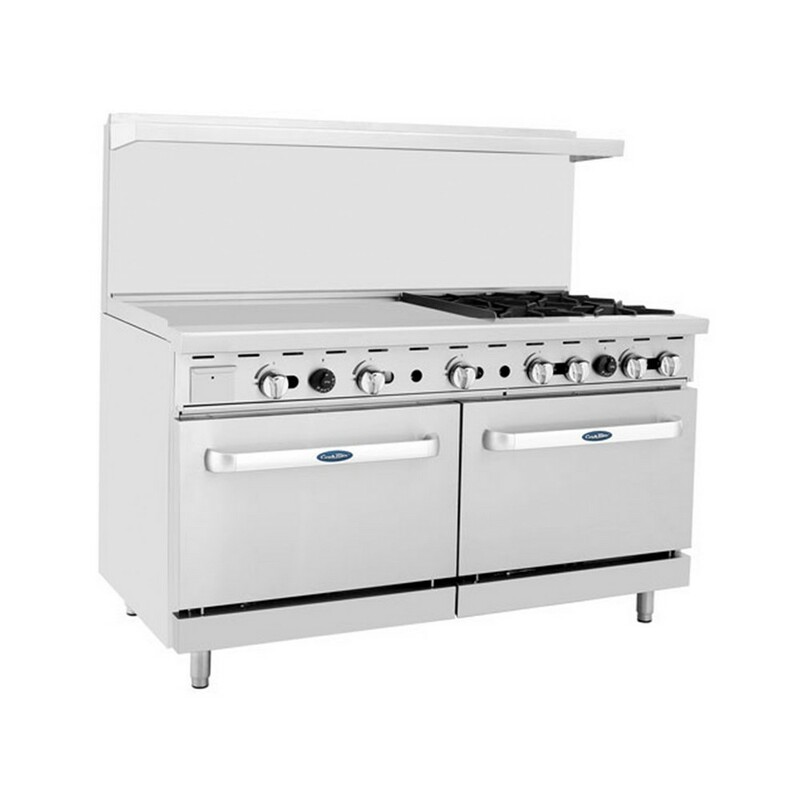 You kitchen staff will appreciate the outstanding cooking performance of the Atosa ATO-36G4B 60" Gas Range, (4) Open Burners with 36" Left Griddle and (2) 26-1/2" Ovens. Designed with 4 burners, 2 ovens and a griddle, this oven offers endless cooking possibilities and its stainless steel exterior makes it strong enough to handle heavy use without getting warped or dented. This oven has cast iron grates that are designed with troughs on each blade and a built-in well to direct excess oil away from the flame and to the right compartment. For added safety, it has a safety valve that stabilizes the flame in case it gets out of control. Built with stainless steel adjustable legs, this oven can be stabilized on uneven floors to prevent it from wobbling and its stainless steel tubing can endure heavy use without getting worn-out and damaged. Griddle working area: 36" x 20-5/8"
Exterior size: 60" x 32-5/8" x 56-3/8"
Q: What is the total BTU output of this appliance if everything is operating?